This week of having to shop for myself proved to be more work and a challenge than I expected. For some, especially those who live on a “big” city like Zurich, maybe doing the shopping themselves is no big deal. I, however, live in a small village with no daily morning farmer’s market and no large grocery stores. I have to drive to another city to get any shopping down. It’s not that big of a deal, I don’t have to drive too far, but it is something that takes time out of my day. To be honest, I found most of the ingredients I needed for the recipes in one place, however, there were two ingredients out of my recipes that I simply could not find. Those ingredients were shiitake mushrooms and chinese cabbage. After asking VK where they found these ingredients, they told me they found them in the standard grocery store in Zurich. This was simply not the case. I went to 5 different grocery stores, in 3 different cities and 2 different Asian stores in 2 different cities. It took me two days to find what I was looking for. My first day of driving around proved unfruitful. my second day was more successful as I found what I needed at an Asian store. The other problem was, when doing a google search for “chinese cabbage”, what comes up is pak choi, also known as bak choy, also known as chinese cabbage. This is in fact what I purchased for the recipe, however, two days later, after a random stop in yet another grocery store, I found what the swiss call “chinese cabbage” and it’s not what I purchased. 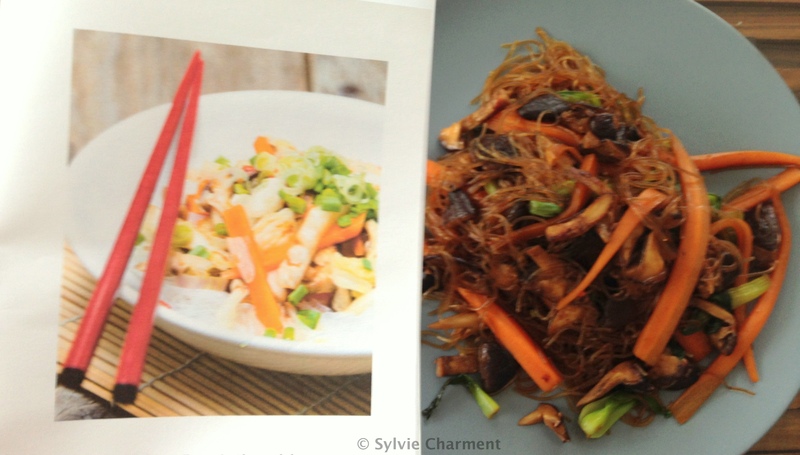 I will say though that the pak choi I purchased worked out beautifully and possibly better for the recipe anyways. So here’s what I learned after a week of having to shop for myself instead of having Vidis Kochtüte handle it for me. When I compare my shopping bill to how much I pay VK for their service, it’s almost the same amount. The advantage however, is that VK gives me exactly what I need and not more. I’ve got nearly a whole package of bulgur, several red onions, shallots, pak choi, and herbs leftover from the shopping I did. With VK, I’d have no leftovers. I would have been given the exact amount of chinese cabbage, bulgur, herbs, shallots, red onion, etc. With VK, I would have not had to run around to many different stores in order to find all the ingredients. It took time from my day and fuel for my car to get around looking for these ingredients. After having this week of shopping for myself, I can appreciate this service so much more. I was not a cook before I started this service 14 weeks ago. Today, I’m getting much better and more efficient with my cooking. I’m eating healthier as well. I’m certainly getting a lot more vegetables into my body. One of the reasons I started with VK, was that I was bored with what we were eating. We would make the same things to eat week after week and now we have a lot more variety in our meals and some things have been so different! 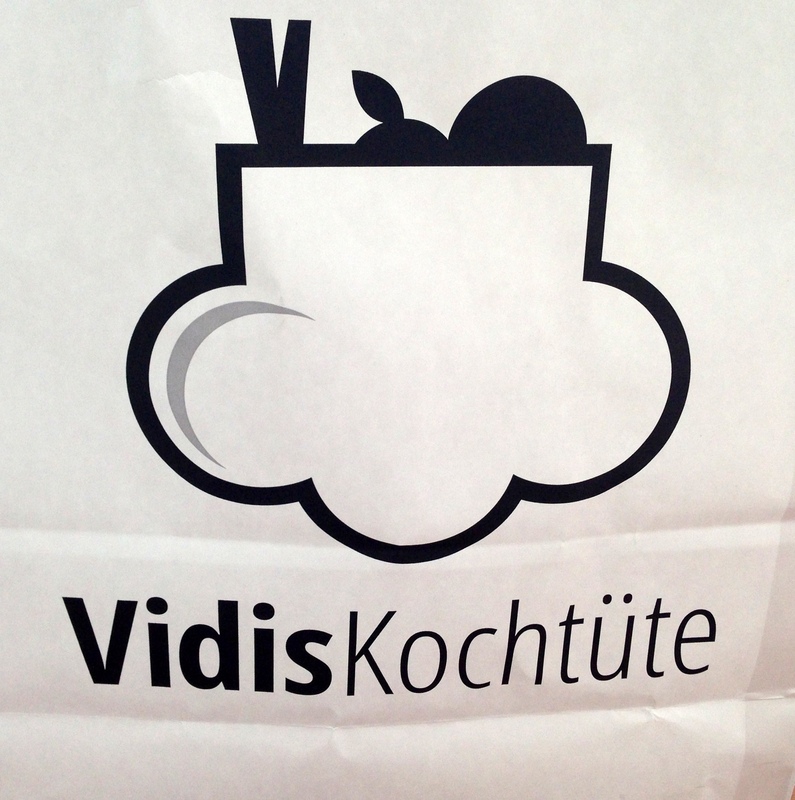 Vidis Kochtüte certainly does save me time and money! If you’d like to give Vidis Kochtüte a try, use coupon code SCHARMENT for a discount on your first order. I actually forgot to take a pic of the finished product this time around, however this is a dish I’ve made before during week 3 of using VK. This was a dish that originally appeared in week 2 of my VK experience. Back then, I felt that I didn’t cook it correctly as it came out more dry than an actual stew. This time around though, it had a lot more liquid to it. This was the dish I was most excited to make and it was delicious!!! 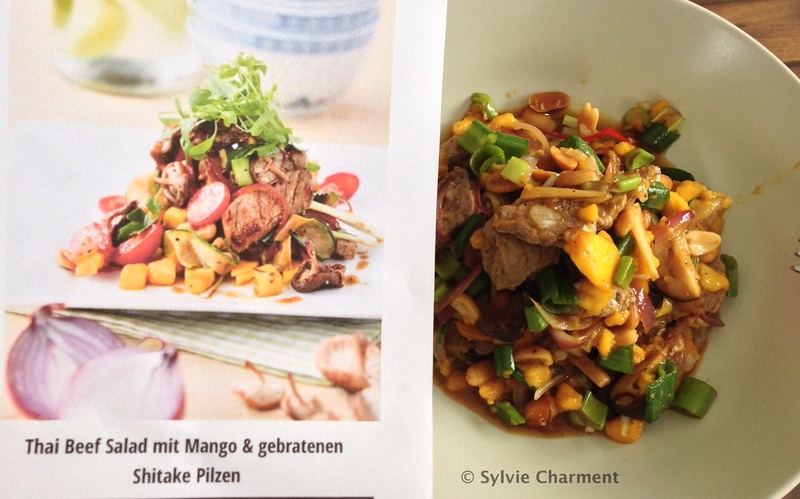 The mix of beef, mushrooms and mango were absolutely perfect. 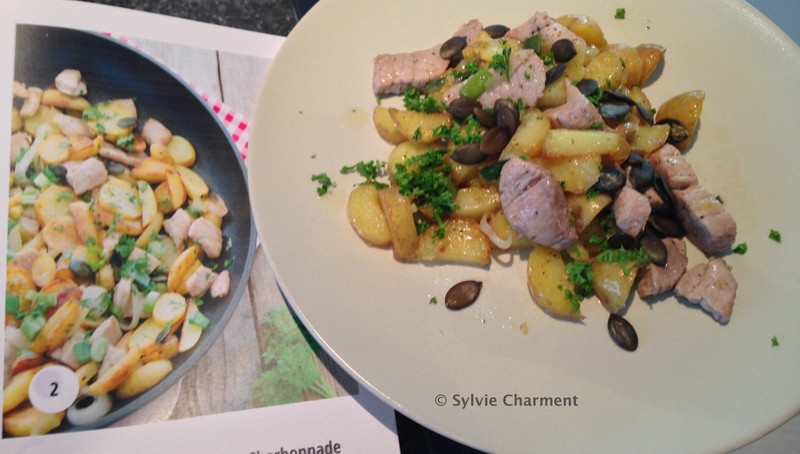 This is a dish I would make again for sure! This was the dish that had me do the most running around and searching for ingredients. I was pleased that it was worth the running around. This dish had the pak choi and shiitake mushrooms in it. It was quite good. 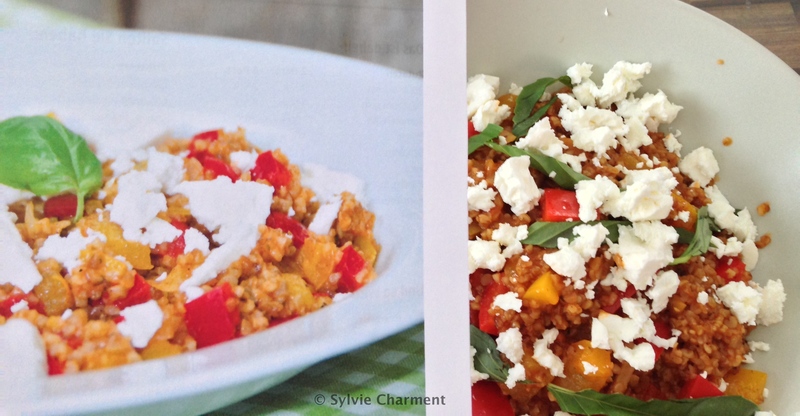 This was the dish I opted not to make last week, but it was made previously during week 4.